About to see a HBC case? Want to run with your emergency trauma cases without the drama? 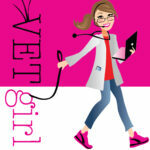 Join VETgirl for a 2-hour, online veterinary continuing education webinar with Dr. Garret Pachtinger, VMD, DACVECC, where he reviews trauma in small animal patients. This lecture will also focus on assessment, diagnosis, and common sequela of trauma in emergency medicine. Trauma is common in the emergency setting presenting with a variety of life-threatening sequela including cardiovascular disease, respiratory abnormalities, neurologic abnormalities, and orthopedic disease. Rapid recognition, diagnosis and treatment of patients following trauma is essential for maximizing success and minimizing systemic sequelae of disease. You will see the registration button when you are LOGGED in; a large pink button will show up. Please make sure to log in at least 20 minutes before starting as the webinar has already started. I love your passion, Garret! But you would like to watch this webinar and receive CE credit?